The simplest and most versatile form of development is the planned double progression system. Don’t listen to the scrawny operative training teachers who are inadequate when it comes to a squat at 225, especially do not pay attention to their guidance on belt usage. If large movements do not help you in adding muscles, seek other choices. For muscles to build at the best proportion, you must impact each two times a week, directly or indirectly. Pay attention to how muscles feel during exercise, you can only tell if it is growing if you can feel it being stimulated. The suitable approach to becoming larger and more powerful without the need to peak at an exact time (as in competition) is the double progression habit. When choosing your work set, confine yourself to two or three reps lifting the same weight at each. Such as 1-3, 3-5, 6-8, and so on, more weight can be added at rep sets on following occasions. A training session with sets of 3-5 reps could go something like this; if you used 250 lbs. on the bar for 5 sets of bench press, and the initial week the 5 rep sets completed were, 5,5,4,4,3, because all 5 of 5 can be too much the first time. 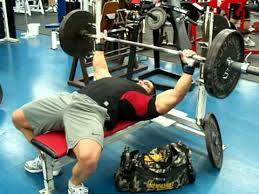 Following that scenario, the next session you would try to go up to five reps on all sets at 250 lbs. each. If that is achievable, the following training activity, you can add 5 to 10 pounds to the bar. Make your objective to be able to use the same weight on all sets. You are on the right track with double progression to accomplish your goal in growing more powerful with larger muscle mass. Muscles equal strength. A functional body does not need help in doing most bodybuilding techniques. However, ancillary equipment such as a belt helps the body complete the requirements at a slightly higher rate of pounds by increasing intra-abdominal pressure in order to accomplish better squats, cleans or deadlifts. It is stronger than the individual using abdominal muscle contractions. In these cases, the belt is not an accessory. It is a safety measure. It is to be used also when going higher than 85% in back or front squats, and cleans. It allows the athlete to lift more weight with better form. This bodybuilder believes his core to be as strong or more so than those who do not use the belt. Bodybuilders who preach not to use the belt cannot accomplish the same results as those who use it for the big lifts. Those going to the extreme of never using the belt even when it is needed for safety are missing the point. Using the belt allows the person to make a harder contraction than without it. 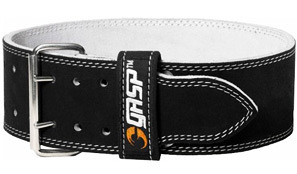 The belt helps increase strength by providing additional training impetus. While it is true a belt is not used in most instances. The exceptions are on core specific work and some heavy lifts. If an individual squats 800 pounds with a belt, he has a stronger core than the person who does not use one squatting 225 lbs. Big basic lifts boost growth better than some lifts, however, not everyone will gain the same way. If one person gains leg size with back squats, another may gain glutes and lower back muscle from the same exercise. In further actions the bench press builds pectorals in some circumstances, while others do not get muscles from dead lifts. 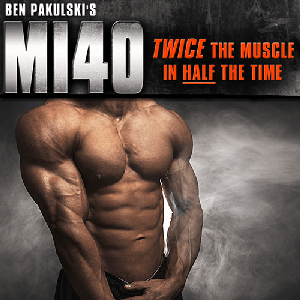 One has to experiment with movements for building muscle mass in order to find the supreme moves to gain the body he or she desires. 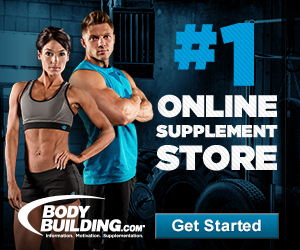 It is all hard work in finding the perfect muscle building exercises for individual fulfillment. In order to shape your physique to what you envision, you must be able to feel the invigoration while you are exercising or the muscle cannot grow to the ultimate aspect. If the muscles targeted during the exercise do not feel harder after the set is complete, you are not getting maximum benefit. Learn to activate the individual muscles during a big lift, or as an alternative, flex it manually to become versed in how it feels to achieve it. Allow time to practice this to become familiar with the sensation. Once you have accomplished this task, that muscle will now be a part of the gain you are pursuing. First: Isolate the particular muscle and concentrate on contractions, focus all your attention on one at a time. Second: Attempt to fatigue the muscle with the isolation contraction, then do the big lift. Once you have the connection to the pump you created in that muscle, you will be able to conform it while actualizing the lift. Third: Focus on the said muscle concurrently while the big lift is in progress. Use a lighter lift until you are sensitive to the muscle contraction response. Fourth: Return to lifting heavier weights on the basic lift. Each step should continue for two to four workouts for the maximum results. Muscular progress can be achieved with sensible progressive workouts. Neither too much nor not enough exercise will give you the body you wish to attain.